Meet the god of academic achievement. This beloved idol is subtle. Since it’s socially acceptable to pursue education at any cost, we’re not too bothered when the pursuit of academic achievement begins to rule our lives. We hardly notice when fellow Christians size up one another based on their alma mater—or even their children’s preschool. For high school students, this idol demands huge amounts of time and attention to claim the best possible grades, SAT scores, and college acceptances, yet it never seems to be enough. Education is a great thing. After all, Jesus commands us to love the Lord with all our hearts, souls, minds, and strength (Matt. 22:37). Education can develop our minds in such a way that we love God more, better understand the world he’s entrusted to our care, and partner with him for the advancement of his kingdom. In a Christian framework, education itself is a gift from God and academic excellence a worthy pursuit. But whenever we allow one of God’s gifts to trump our allegiance to God himself, an idol is born. The god of academic achievement convinces us to take on college debt that will enslave us for many years. It persuades parents that their high schooler can’t possibly pause his homework for two hours on a weeknight in order to engage in Christian community at youth group. It launches parents and students on an unending merry-go-round of soccer practices, required volunteerism (which sounds like an oxymoron), and SAT tutoring—all with the goal of crafting the perfect college résumé. It increasingly minimizes parents’ time at home with their families as they labor to pay for elite private school education. It robs the youngest among us of confidence and joy should they fall below a certain GPA or SAT score. It’s not difficult to see that today’s teenager is painfully overextended and that many parents are running themselves ragged to ensure their kid can have it all. This is the new frontier of “keeping up with the Joneses,” and it’s not so much in the pursuit of the Almighty Dollar as it is of the Almighty Degree. The idol of academic achievement entices us with its promise to win success, to secure freedom, to help us be someone important. This idol’s shiny exterior glistens all the more brightly where I live in New England—here in the shadow of Exeter and Andover, Harvard and MIT. So is the antidote to run from education? No, the antidote is to redeem it. Keeping academic achievement in proper perspective might mean a high-achieving student takes a balance of honors and regular-level courses so her homework load doesn’t exceed a certain number of hours per night. It could mean a student with many extracurricular interests limits his participation to one or two sports and clubs so that he can contribute with excellence, rather than simply collecting achievements for his résumé. It may mean a high school student chooses a university where she’s not stretched to the max academically and financially, but where she can best focus on preparing for a life of fruitfully stewarding her intellectual ability. Refusing to idolize academic prestige could mean parents allow a stressed-out teenager to take a “gap year” in which he serves in missions or continues discerning a career path, rather than pursuing college for the sake of status and cultural expectation. It will certainly mean prioritizing worship, Christian community, and family time alongside homework and SAT prep—making time for rest and relationships in the rhythm of each week. It’s possible, after all, to be “always learning but never arriving at a knowledge of the truth” (2 Tim. 3:7). When we finally prize college résumés and prestigious degrees above knowledge of the truth, we are idolizing education. Youth leaders, you can help expose this among the students and parents you serve by asking pointed questions. By gently revealing the grip of academic achievement, you can urge them to hold educational pursuits in proper perspective. Ask overburdened students, Are you enjoying what you’re learning in school? How are your studies contributing to your pursuit of knowing God? Ask parents struggling to juggle academic expectations, Is your child finding confidence and joy in his studies right now? 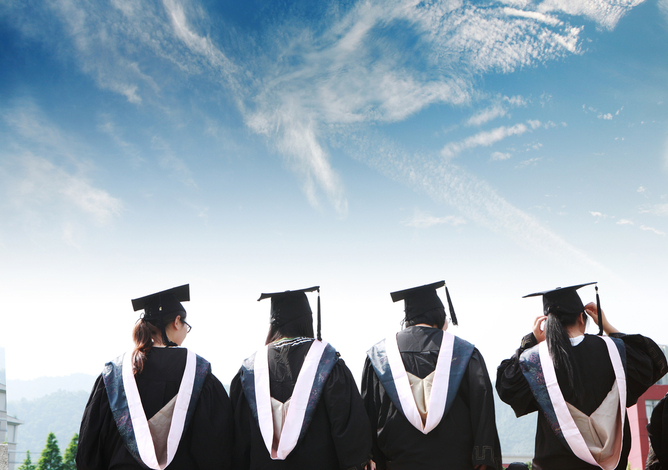 Is her pursuit of academic achievement supporting her spiritual growth or hindering it? Do you find your family more satisfied now that your child is attending that school? And parents, you can dethrone this idol in your home by asking God to help you discern what it means to rightly order your child’s academic performance in light of the values of his kingdom. Chelsea Kingston Erickson (MDiv, Gordon-Conwell Theological Seminary) serves as youth pastor at First Congregational Church of Hamilton, Massachusetts. 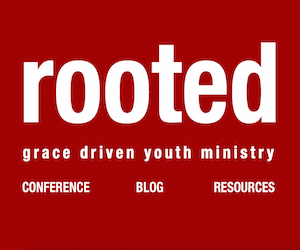 She’s a contributor for Rooted Ministry and blogs at Where the Cloud Settles.